Discussion of the Glassfish application server. 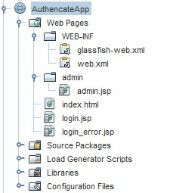 How to restore a session in a Servlet created in another Servlet on Glassfish (v4)? How do I configure SSL and Glassfish on AWS?